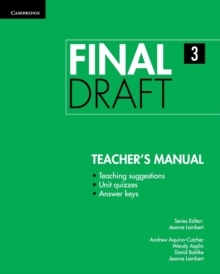 Academic writing is difficult, and Final Draft gives students all the tools they need. 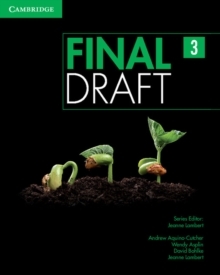 Writing skills and in-depth analysis of models set the stage for development. Corpus-based vocabulary, collocations, and phrases, as well as detailed information on the grammar of writing, prepare your learners for college writing courses. Students learn to avoid plagiarism in every chapter of every level. This dedicated, long-term focus on plagiarism avoidance helps ensure that these students are able to use sources and highlight their own thoughts.